The foliage of Acer shirasawanum 'Jordan' starts a pretty orange-yellow colour, brightening to yellow-green and then turning a dramatic red in late summer and autumn. The lime coloured summer foliage is often supplemented by contrasting small red seed heads. Unlike many Japanese Maples, Acer shirasawanum 'Jordan' can tolerate full sun, although it is still recommended to avoid strong early morning sun. ‘Jordan’ has a wonderfully bushy habit and is slow growing so ideal for small areas. Expect a height and spread of around 4 x 3 metres in 20 years. 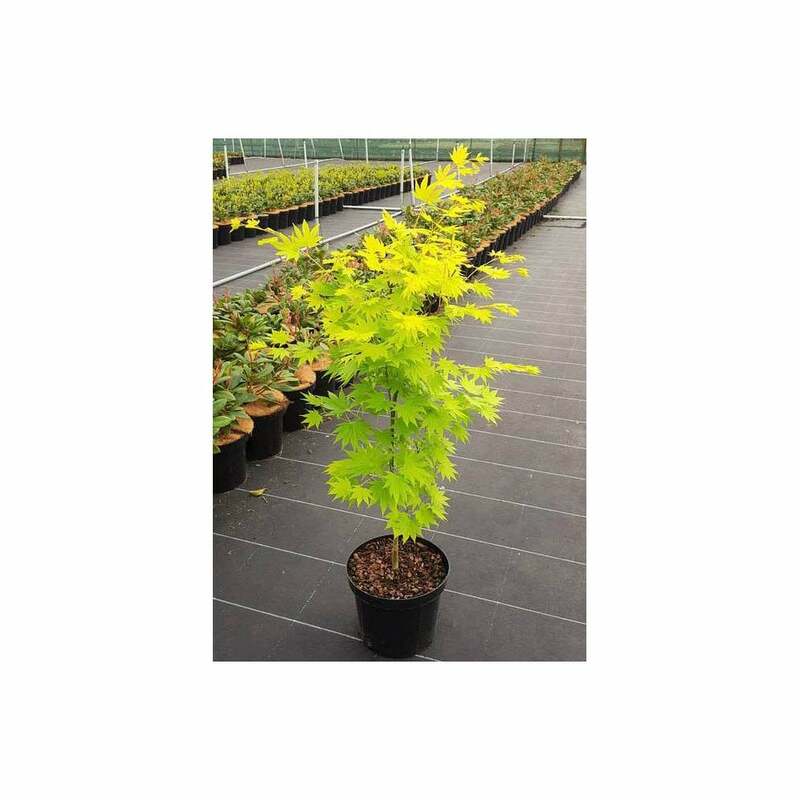 Pot grown Aureum Japanese Maples can be planted at any time of the year. Firstly, remove all weeds and grass within a metre of your desired planting hole then dig a square hole as deep as your root mass and approximately 2x as wide. To help your tree establish more effectively, we advise sprinkling root grow in the hole, especially if you have poor soil.